The Southern Appalachian Vitality Index (SAVI) categorizes the interwoven nature of humans and their natural, social, built, and economic environments. This approach to natural resource protection is designed to assist local governments, interest groups, and the public in identifying sustainable approaches to economic growth, healthy communities, and protected landscapes in the Southern Appalachian Mountains. The natural environment of the Southern Appalachian’s provides a host of ecosystem services important to the communities in the region and visitors from across the nation. Understanding the unique links and ecosystem benefits for biodiversity, water protection, and air purification from the landscape provides the base layer of the assessment information provided here. Craft, music, art, heritage, and spiritual values have defined residents of the Southern Appalachians for generations. This overview of the human environment focuses on the culture of our communities—their people, health, and education that characterizes the values of the region. Understanding historic and current trends in employment, agriculture, forestry, tourism, income, and poverty is essential to promoting a healthy and resilient local economy. The economic development in Southern Appalachia is a direct result of the natural resources, citizens, and the built environment that integrates the values of the region. The Southern Appalachian Man and the Biosphere (SAMAB) has a long record of success working together to promote ecologically and economically sound land management practices in the Southern Appalachian Mountains. SAMAB was the first regional biosphere reserve to begin linking science across multiple federal, state, and tribal organizations to assist local government, business, and nonprofit organizations with sustainable approaches to growth, and has served as a model to other similar partnerships across the region. Its emphasis on education and bringing people together from different perspectives has visibly helped to improve governmental effectiveness and has resulted in several products that are widely used and respected. Over the course of its history, SAMAB's two prevailing concerns have been the conservation of biological diversity and promotion of sustainable development. It has done this by sponsoring a number of well-supported, regional conferences focusing on environmental, social, and economic aspects of life in the Appalachians. The SAMAB Cooperative has supported a number of projects and spawned new partnerships among member agencies for over 25 years. The SAMAB Foundation has been instrumental in connecting funding to support these various enterprises. Altogether, SAMAB has been in a unique position to make a difference at a critical time in the evolving story of land management and conservation in the Southeast. SAMAB has established a legacy of connection and collaboration among numerous organizations representing a range of approaches and missions throughout the region. 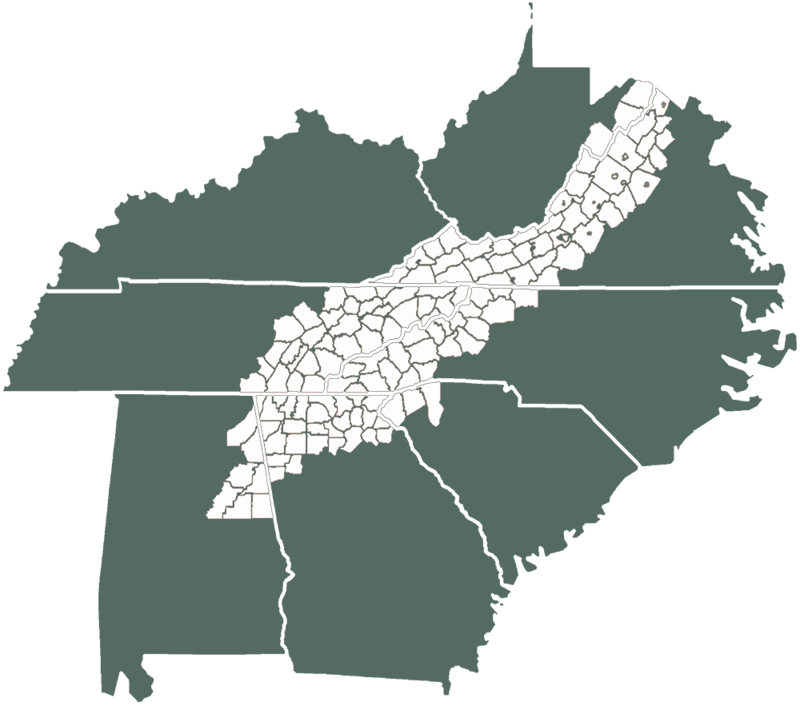 Through these relationships, SAMAB has built a reputation as a trusted source of information for local governments, business, and citizens across southern Appalachia. To encourage wise use of the area's natural resources and promote environmentally sound economic development; and to foster and support integrated environmental research, education, and training, especially in relationship to national and global changes and their effects upon the region. SAMAB will concentrate its efforts with the primary goal of promoting effective social action through understanding of sustainability as an integrated process of development involving all levels of social and governmental organization in an environment defined by natural, social, built, and economic concerns. Southern Appalachian Man and the Biosphere Cooperative. Southern Appalachian Vitality Index. 2016. "[NAME OF PAGE]." Last modified [DATE], http://www.southernappalachianvitalityindex.org/.